Hooded men’s downcoat in sea green color. 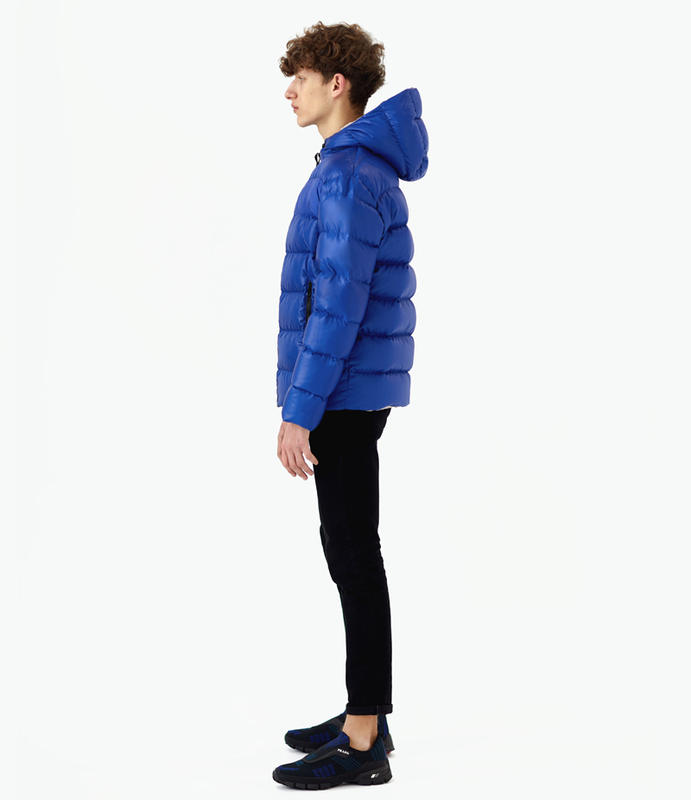 Down jacket is medium length and straight silhouette. Puffer and pockets of coat are closed with zippers. The lining is made in black color. There is an additional secret pocket on the lining. 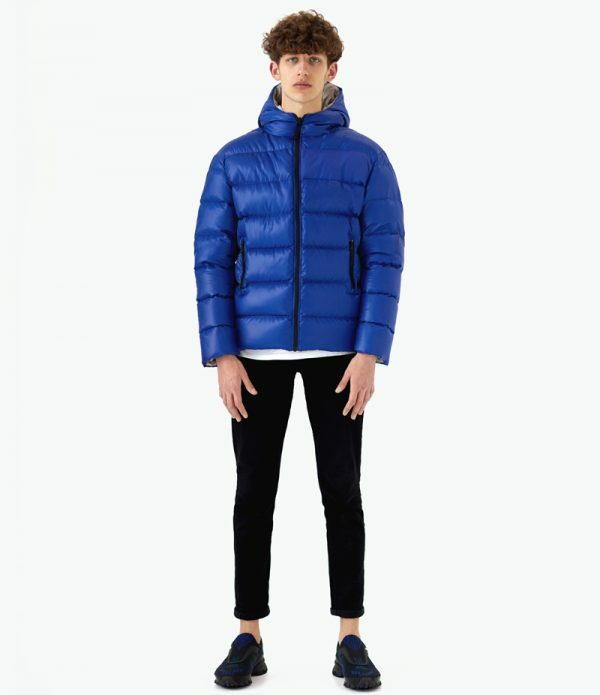 The down jacket is light height and compact. 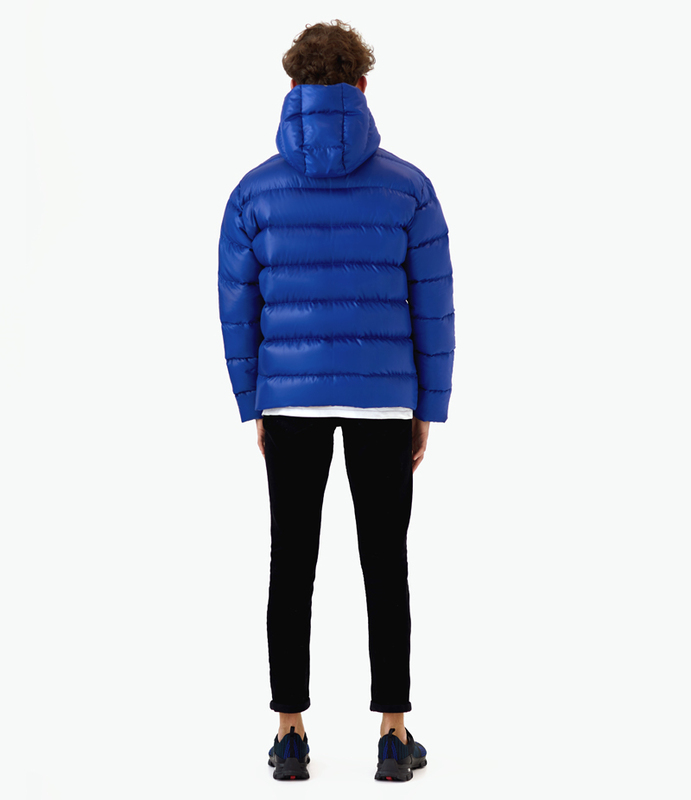 It is full of natural goose down, and with comfort can withstand winter frosts down to -20 ° C.